Last Friday, Philip and I went to Tam’s bike shop in Mill Valley to test out the new Faraday electric bike. Lately, one of my favorite things to do over a weekend is visit bike shops in Marin and test ride electric bikes. My inner 7-year-old lights up at the thought of this. Riding the Faraday bike is the same as riding a really nice bike except this one thing. It feels like you are Aladdin flying on your magic carpet. There is a deeply magical quality in this sensation—an exquisite freedom in the body. As you ride the bike, an unseen force (the small, silent motor) is miraculously pushing you in the same way a parent might do with a child who is first learning to ride. Except faster and better. 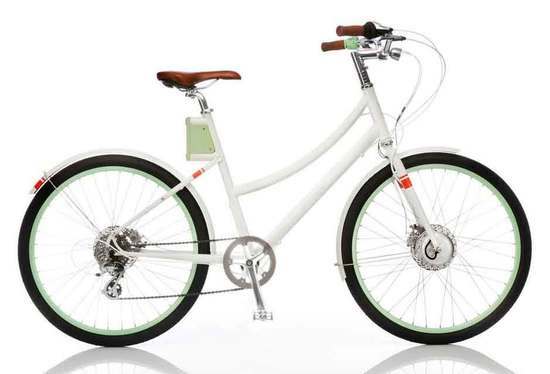 After test riding several really nice e-bikes over the months, I’ve easily come to the conclusion that none of them offer the same overall enchanting experience as the Faraday. This obsession reminds me of a similar one I’ve had over the years with helping health and wellness businesses increase revenue by designing nurturing and safe spaces that keep client and patient retention rates high and referral business flowing. In my design lab, I’ve been obsessed with figuring out effective, sustainable ways for your healing space to trigger positive responses in the brain that reduce anxiety and increase comfort. The experience of riding the Faraday bike and visiting your intelligently designed health or wellness clinic, office or other healing setting is strikingly similar. When your patient feels like she has just walked into a hug the moment she steps through your door, deeply nurtured and supported at the body level, it reminds me of the same way I feel when I’m riding the Faraday. That experience coupled with your exceptional care is the perfect recipe the manufacturers of Faraday have figured out. It’s what sets them apart from other e-bikes and it is what sets you apart from the status quo and makes your health business feel like a magic carpet ride.